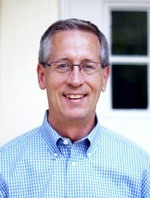 Mark became Ruth Harbor’s second Executive Director in 2002. Prior to Ruth Harbor, Mark managed the non-profit GuideOne Foundation. His varied background also includes athletic director, instructor, and marketing communications. Mark’s BA is from Cedarville University. Mark and his wife, Deb, have three grown children and five grandchildren. He loves to invest in others in order to see them grow and enjoys his role on a recreational soccer team. 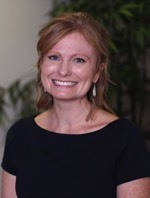 Tammy Davidson joined our team in 2019 as the Program Director. In her role, Tammy hires and supervises all program-related staff, and develops and maintains all of the programming that supports Ruth Harbor’s residents and mission. Tammy and her husband, Shane, have three children—Grace, Sophia and Pedro—all of whom enjoy camping, hiking, biking, traveling, and spending as much time as possible outdoors and in nature. 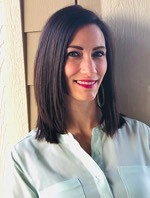 Aimee joined Ruth Harbor as the Office Manager in January 2018. In this role she oversees the front-office operations, supports the Executive Director and staff team, manages fundraising events and develops/oversees Ruth Harbor's volunteer program. Aimee and her husband, Derek, have three children that keep them busy with their athletic, musical and academic pursuits. Although there isn't a lot of time for hobbies during this busy season of life, when possible, she enjoys baking, reading and crafting. 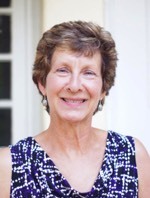 Since 2005 Sandy has coordinated Ruth Harbor’s events such as the annual Walk for Life and the Fall Fundraising Banquet in addition to managing the office responsibilities and overseeing the budget throughout the year. Prior to Ruth Harbor, Sandy’s varied resume of experiences include account billing at a private school, church secretary, and school board member and volunteer while her children were young. Sandy and her husband, Phil, have two grown children and two grandchildren. Cara and Shawn have served as a full-time House Parents in our maternity home since 2017. As the "house dad and mom," they live in the home and are responsible for modeling a Christian family, serving as a father- and mother-figure to the residents and overseeing all of the day-to-day operations and "life" that happens in the house and in the lives of the residents. Together they serve as the leaders of the Ruth Harbor home. Shawn and Cara have three daughters, Danielle (who is married to husband, Derrick), Madeline and Alyssa. In Shawn’s spare time, he is a handyman who enjoys woodworking, collecting coins and selling items on Ebay. Cara enjoys anything craft-related, making jewelry and crocheting. 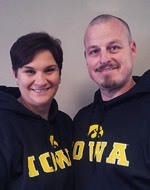 Melanie and Gary are the House Parents for Ruth Harbor's mother-child home in Carlisle, Iowa. As the "house dad and mom," they live in the home and are responsible for modeling a Christian family, serving as a father- and mother-figure to the residents and overseeing all of the day-to-day operations and "life" that happens in the house and in the lives of the residents. Gary served as a pastor for 29 years before he and Melanie decided to use their gifts to serve a new community in a new way, which brought them to Ruth Harbor. They have four married daughters and nine grandchildren. They enjoy spending time with their family, including a growing number of concerts, recitals and ballgames! Michele is passionate about helping young women realize their self-worth by walking alongside them as they find the courage to make desired changes in their lives and reach their full God-given potential. She is a Christian counselor and Des Moines native who earned her Master of Arts degree in Professional Counseling from Liberty University (Lynchburg, VA). She is currently licensed by the state of Iowa to provide mental health counseling and she is certified as an alcohol and drug counselor. Michele and her husband, Ronny, are entering a new stage of life as their three children have grown. J.A. came to Ruth Harbor in 2018 after 30 years of missionary service. J.A. is developing community partnerships, retreats for staff and clients, and ministry outreach projects. J.A. also assists the director with handling key projects and speaking opportunities, and developing relationships with churches.  "I love working with the staff of Ruth Harbor! Their love for Christ and young people is infectious," said J.A. 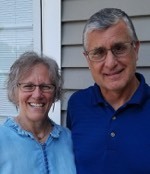 He and his wife, Pam, recently retired from their 30-year service as BBFI missionaries to Wales in the United Kingdom. They moved to Des Moines to be close to their son and his family. J.A. and Pam are the proud grandparents of four grandchildren in Wales and three grandchildren in Des Moines. When time allows, J.A. enjoys hunting, catching catfish, golfing and of course Skyping with his grand kids in Wales. 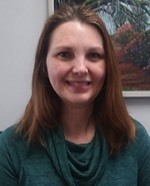 Amanda joined the Ruth Harbor Ministries team in 2019 as a Caseworker and back-up House Parent for the Des Moines house. As a Caseworker, Amanda works with residents in collaboration with the House Parents to assist them in developing short- and long-term goals for themselves and their children. Amanda also maintains relationships with community resources and agencies to provide services needed by the birthmother, as well as maintaining documentation of the resident’s services and progress. Amanda and her husband have been married for 25 years. They have five children, two of whom are adopted, and they are former foster parents. Amanda enjoys listening to podcasts, and reading and listening to classic books.